Bookflix—This is an online resource that pairs fiction books with nonfiction books. This site includes Weston Woods video storybooks. Several activities for these books are also available. Scienceflix -- a collection of science resources. 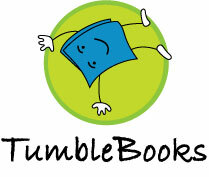 TumbleBooks—This site is an online resource of animated, talking picture books. These electronic books can be read or the computer will read the story to you. Besides the books there are also a number of activities for each book. Learning.com--A collection of content, tools, and services. Facts4Me—This is a research site for primary and elementary level students. It is not comprehensive but covers many of the topics researched in elementary school. Clever - This site has access to World Book, our online encyclopedia, and Learning.com where students receive keyboarding instruction. PebbleGo--This is access to 4 different databases. Animals; Earth and Space; Biographies; Social Studies. EBSCO—Massive resource of databases includes such sites as: Kid Search, Student Research Center, Book Collection Nonfiction Elementary School Edition, and Primary Search. Discovery Education- Discovery Education offers free student resources that bring learning to life both inside and outside the classroom. We invite you to take a look at our interactive games, videos, contests, virtual labs and activities designed to help you dive deeper into a topic —and have fun too! BrainPop and BrainPopJr.—BrainPopJr. is geared for younger elementary students. This site offers curriculum based videos and other activities. These sites are only available during school hours. World Book Online - Discover articles, videos and photographs in World Books collection of thousands of topics. User names and passwords are available from classroom teachers or email webmaster. Please do not share passwords or user names with anyone outside of the Becky-David community. The Francis Howell School District’s Website is a great source of information. You can also access the Becky-David’s Website off the FHSD Website.